• Use your touch to physically shape, mold and sculpt every inch of the landscape, making it unique to you. • Be loved and worshipped by tiny, devoted Followers. Watch them live, learn, and grow in a fully simulated world. • Nurture the growth of a civilization as it rises from the dawn of the primitive age and advances throughout the ages of humanity. • Cast miracles of both beauty and destruction: sculpt rivers and grow forests, or throw meteors and spread fires. • Uncover a wealth of mysteries and surprises waiting to be found above and below the landscape. 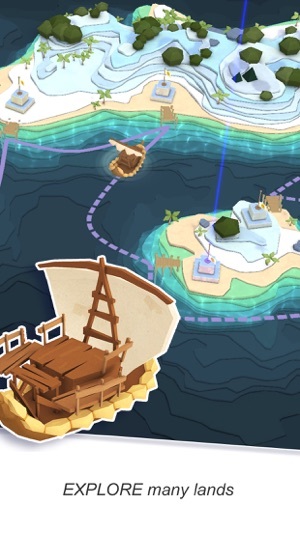 • Guide your Followers as they embark on regular voyages to new and uncharted lands that hold great rewards. Celebrate the holidays with our new theme; Snow, Decorations, and Festive Costumes for your followers and Astari, all available from the powers menu. Also enjoy the new Artic Expedition. 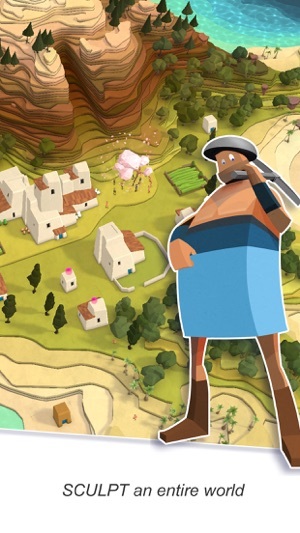 We are busy fixing issues, if you experience any please email Customer Services on godus@22cans.com. 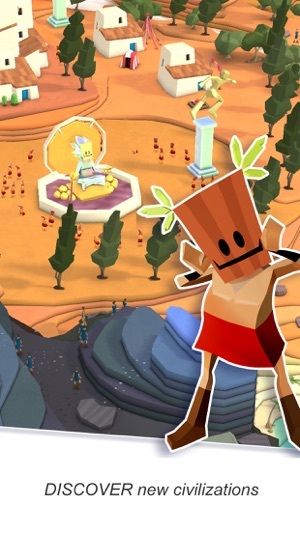 Carve the world to your liking, amass loyal followers to do your bidding, and complete timed puzzles in an incomparable game from Peter Molyneux, the creator of legendary console and PC games like Black & White, Fable, and Populous. 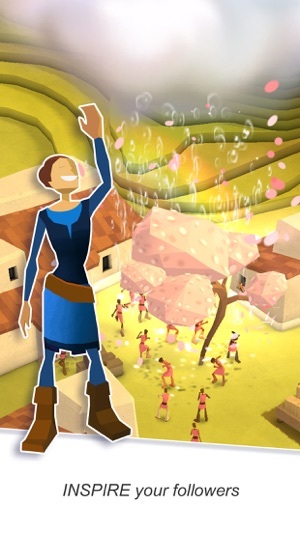 Godus’ distinct visuals and relaxing musical score make for a unique, peaceful experience, and you’ll love unlocking each secret, region, and ability in its expansive world. I've downloaded this app at least 4 times since I first saw it on the App Store, and I had to end up deleting it four times because of the gems. Basically what would happen was that every time I would find gems in a treasure chest, the gem counter would just stay at zero. And it's extremely difficult and eventually impossible to get through the game without any gems, and I wasn't planning on buying any. I would get as far as whenever "Happy Followers" or something like that is introduced, and then my followers would slowly become unhappy until I was eventually left with a few loyal followers that were also on the verge of leaving. At first I was just going to leave the app alone because it seemed like the developers no longer wanted or saw a need to update the game or fix anything, until now I saw an update that was this year in May. I haven't opened the app for the fifth time yet, but I hope this got fixes along with any other bugs. Otherwise I absolutely love this app, which is why I kept coming back to it in hopes that this bug (and some other things) would be fixed. And the graphics and the concept are amazing, but just be warned, before you download this app, you may run into a few glitches along the way. I just downloaded this game and in general I think it's a fantastic game. It's got a lot of immersion and a variety of features to toy around with. 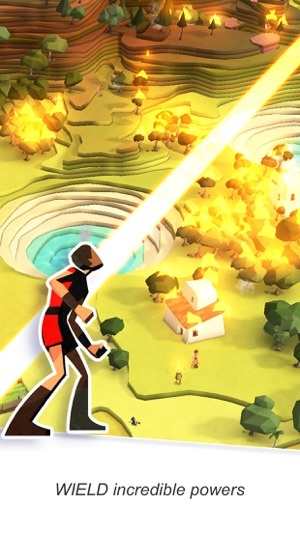 I really like the idea of this game and I have a good time playing it. I have a few minor issues however with this game. For starters, the mechanics of moving around and navigating through at the game are very confusing. Having to use two fingers in order to move around the screen can be difficult and frustrating. Also half the time rotating with two fingers doesn't work automatically. It takes a few tries in order for me to actually rotate the screen. I don't know if this is simply because my screen does not respond to me or if it's the actual game. I've just noticed that I've had trouble trying to rotate the screen. Another thing is I find it very frustrating that sculpting the land require so much believe I think that it should either not require as much or not require any at all. Half the time when I want to sculpt the land and make it easier for the people to navigate, I don't realize that I'm using up my belief until I notice that I don't have any left to use. 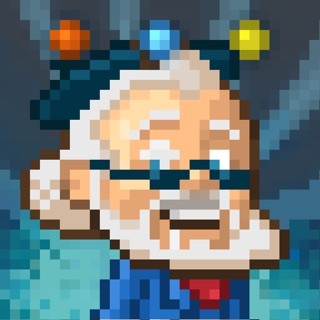 Overall, I think it's a fantastic game and would definitely recommend to other people!